Every human being wants to be productive in all things but most importantly with work. Nothing is worse than trying to get something done and it’s taking FOREVER to get done. Doubt, fear, insecurity all come collapsing in on you at once, then the questions start rolling in your mind – What’s wrong with me? Why can’t I get this right? Why is this taking so long? Am I hungry? etc. Comparisonitis hits you big time and Shiny Object Syndrome seems to drown you and you realize that at a time you must be the most productive you’ve just wasted hours of being unproductive. No fear! 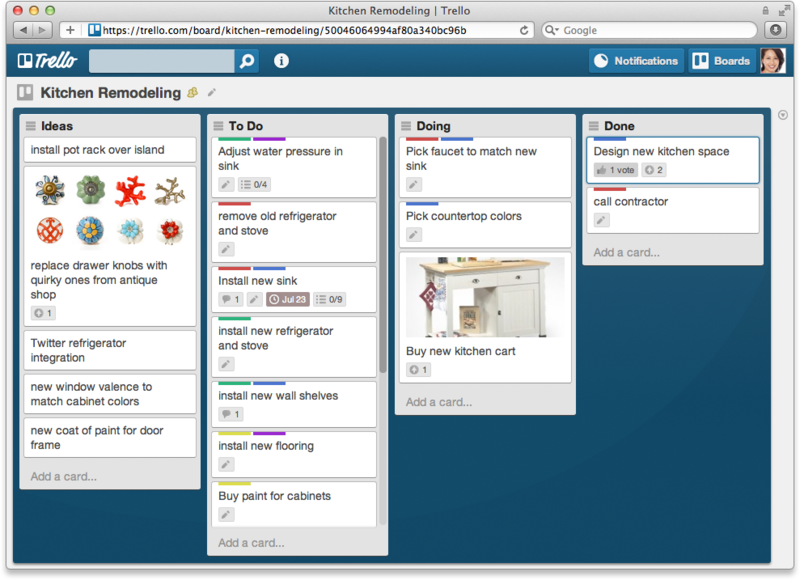 We’ve got ways to boost your work productivity with tips and tools. Let’s get started! First, let’s just start off with some common sense tips to get you into productivity mode. Everyone is different so you can pick and choose these tips as you see fit for your individuality. Simple! If you know you’ve got a deadline coming up make sure to get some sleep. How can you function if you don’t have a good amount of sleep? Seriously, turn off all notifications on your computer and phone. Notifications are a huge distraction. When working from home, people often think you can lollygag in your pajamas all day or maybe you think pajamas are not so bad. WRONG! When you’re working from home, you’ve got to get dressed. Not business on the top and party on the bottom mode either. You have to be completely dressed including pants you’d wear in public. You’ll notice an incredibly positive difference when you’re wearing pants! If your a Netflix watcher or the kids have the day off, working from home can be a little distracting. When you have a deadline that project has to get finished so it’s important to remove all distractions. That means to close the door and tell everyone in the household to not knock unless it’s an emergency, put the phone ringer on mute, and do not put on the TV. You know best what distracts you the most so remove it from your area until you’re done. This is very personalized. There are some people who find not eating to be exactly what they need to finish a task, then they can eat as a reward. However, there are some people, like me, that if I don’t have my belly full I can’t work. It’s completely up to you. Now that you have these basic tips to get productive we can move onto tools. We’ve talked about these tools for project collaboration before and they’ll help improve your work productivity too. When everyone on your team is on the same page then you’re working productively. This project collaboration tool helps a team stay on task with checklists and calendars. Marketing campaigns and product launches are all mapped out for team members. It’s a visual platform to organize thoughts into neat lists and cards. Think of all your ideas on sticky notes arranged in order but on your computer. It’s easy to use and collaborate with a team where ideas can flow! Get yourself focused with sounds of music or noise. 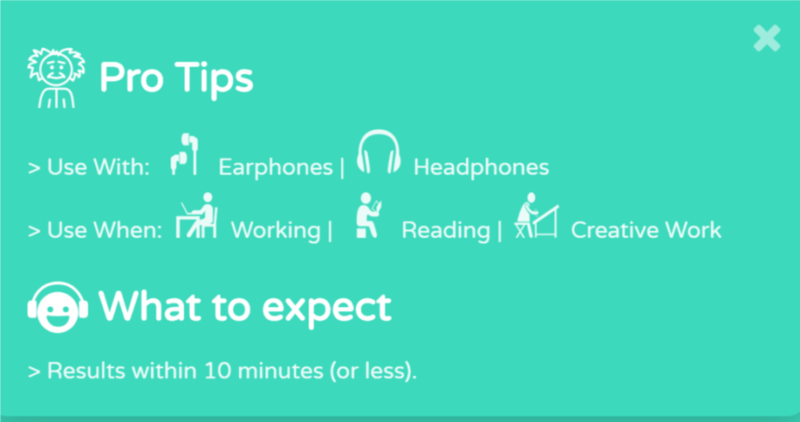 It’s absolutely true that music or certain sounds can help you become more productive. They call it music for the brain. Depending on the type of mental state you need at the moment, you can select from Focus, Meditation, or Relaxation settings. It plays for 2 hours or you can adjust as needed. A background noise generator with nature sounds, white noise, and other elements. I personally prefer Noisli because of the nature sounds and the train sounds. I don’t know why I prefer the train sounds maybe because I feel like I’m chugging along with my work (pun intended… I’m sorry 😉 ) or I kind of put it in my mind that the train is catching up to me so I better work quickly. Either way, I find it works for me. Hopefully, you can find a combo that’ll work for you with your productivity. All I can say is WOW. MixMax provides a robust email tool to take care of many annoying and time-staking tasks. Want to schedule a meeting? You can share your availability right from your calendar and it pops into the email. Wondering if the new client opened up your email? You can track the email. Need templates for typical emails you send? You can set that up. You can also set up sequences right from your Gmail. There are many other ways to use MixMax that I haven’t dabbled in but it’s pretty exciting. We’ve mentioned this tool in our tools for bloggers post. It’s an awesome tool when you’re writing emails. It has a Chrome extension and can be used directly in Gmail or anywhere on the web. It’s saved me on some potentially embarrassing emails. Love the simplicity of Google Keep! You can create to-do lists, store articles, color coordinate labels, drag and drop notes into a Google doc, transcribe notes from photos, and more. Most people love Evernote! 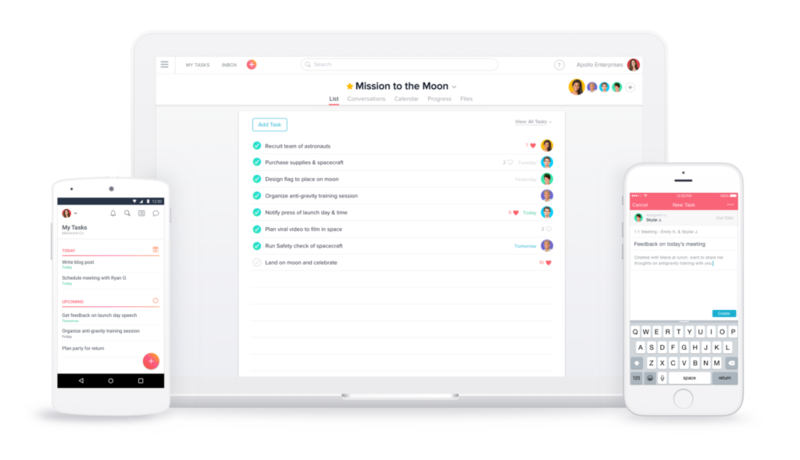 It’s a robust tool to keep teams on track with notes for brainstorming sessions, research, audio files, reminders of deadlines, etc. 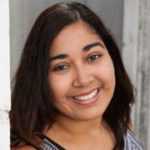 Lots of users create entire blog posts in it! There are many ways to use it that they have certified consultants to help you use Evernote to your best ability and to be as productive as a team for your business. Harvest is a web-based time tracking and invoicing application relied on by creative businesses in over 100 countries. Easy to track time with Toggl to keep projects within deadlines and works great for hourly freelancing projects. We’re always looking to be productive with various features to make it fast and easy for Stencil users. This is not a tool but it’s a feature in Stencil that can help with productivity! If you batch your images in a certain time frame then this is for you. 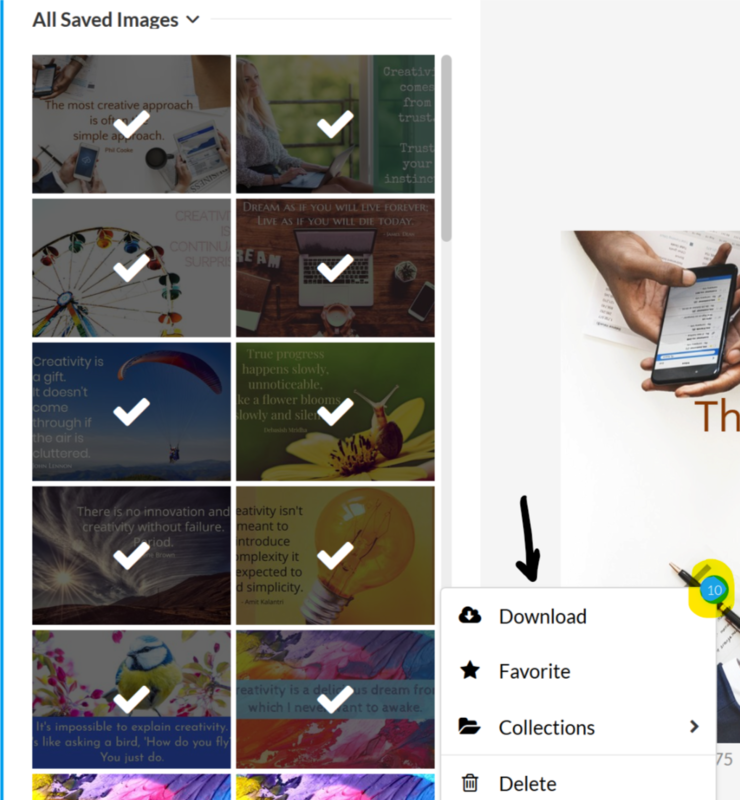 You can now download multiple images at one time into a zip file! If you batch 10, 20, 30 or more at a time you’d save your images as usual then CTRL + click each image you’d like to download into the file or if you use a Mac hold the Command key + click. Check it out below. The number selected for download will list next to the Download button. See the 10 highlighted! 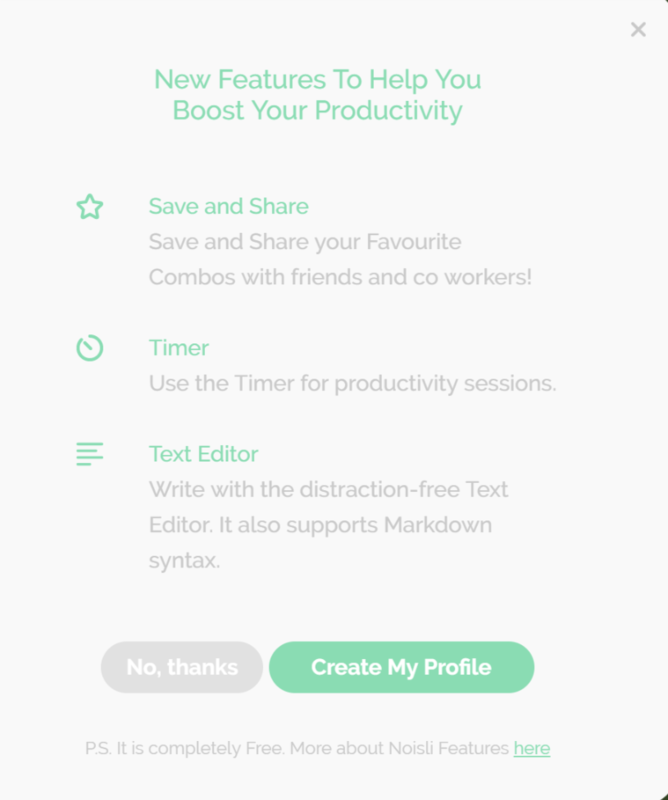 We know it’s not really a tool but it’s a cool feature that’ll help with productivity. Will You Use These Productivity Tools? You’ve got to have the basic tips in place before you can really check if these tools will work for you. Take the time to get yourself a bit organized before you dive into multiple tools. Try one or two for a month to see if you can see a difference in your productivity. 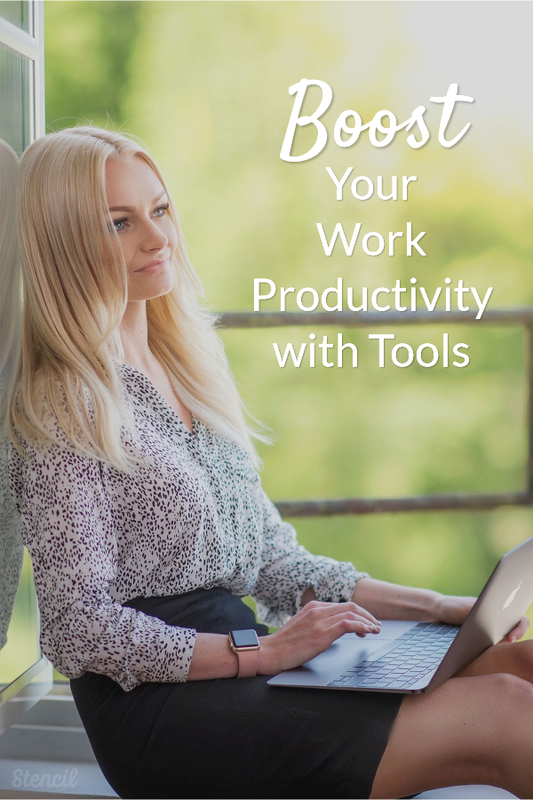 Over to you – Will you use these productivity tools? Do you think there are some tools we missed? Let us know what your favorite productivity tools are in the comments.